Help us get students stretching, reaching, squatting and smiling! GoodLife Kids Foundation announced today that the Algoma District School Board (ADSB)’s Brain Boosters program has been selected as a finalist in their National Win 4 Kids contest. As part of the contest GoodLife Kids Foundation is giving away a total of $100,000 to programs across Canada that are helping kids have a healthier future. All 10 finalists will receive grants but Canadians’ votes will determine the amount of the grants they receive. There is one $25,000 national prize, for the organization with the highest number of votes, along with three prizes of $12,000, three prizes of $8,000 and three prizes of $5,000. The Algoma District School Board’s submission is for a program called Brain Boosters - a new initiative that will take place across 10 pilot schools and potentially every classroom in the Algoma District School Board. Five minute long exercise routines available on DVD will be implemented in K-6 classes. Each Brain Booster session contains 12 unique workouts that kids can follow safely in the comfort of their own classroom. Teachers have the ability to access these DVDs at any time during the course of the school day. Win 4 Kids funds will go toward supporting the cost to ensure all ADSB elementary classrooms can utilize the Brain Boosters program and increase students’ physical activity throughout the day. Funds will also help ADSB achieve their ultimate goal of creating their own Canadian DVD series that they will share with school boards across the nation. Lisa Burrows, Executive Director, GoodLife Kids Foundation echoed the reality of fitness levels in our young people. The finalists will receive their funding from Win 4 Kids at this year’s Spin4Kids Plus event taking place across the country on Saturday, March 7. Canadians can vote by going to www.win4kids.com. 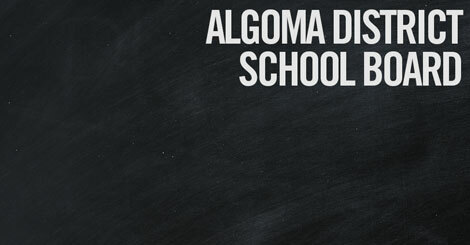 Algoma District School Board is hoping to recruit as many votes as possible as there is only one vote per person. Voting Begins February 2 and goes until 11:59 p.m. on March 6 2015. In addition to voting, you can support your organization by spreading the word in your community: share the GoodLife Kids Foundation Facebook page, connect with @goodlifefkids on twitter and join the conversation using the hash tag #Win4Kids.